A string of recent questions about “how to adopt the Process Classification Framework (PCF)®” comes from companies engaged in software development, offering software as a service, and combinations thereof. This blog post is dedicated to you: software developers and high-tech mavens. Really, it’s dedicated to anyone who builds a “virtual” product, then sells “copies” of that product. OR perhaps performs that products for others. The questions are usually very similar and focus on the areas of service development and production and service delivery to clients. I can hear the collective “but wait, it says ‘physical products!’” now. But trust me, this is where things that you develop to sell to clients are housed in the PCF. 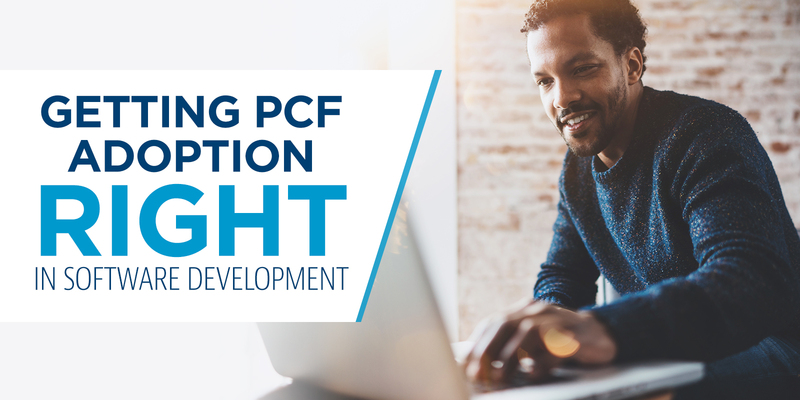 If you look at the process groups in the category 4.0 part of the PCF – they closely align to the phases and stages of various software development methodologies. Supply chain planning ensures that you have resources at hand to meet the planned needs. Procurement ensures that you have access to libraries and even contractual development help outside of your 4 walls. The use of the manufacturing category is not that foreign, considering that things like agile take lean manufacturing as their inspiration. Manufacturing is where you build your product, whether it is software or widgets. Just replace stamping machines and conveyor belts with developers and GIT, and you have a solid analogy. But what about offering support of the product, after it has been developed? In this case, the offering of the software as a service begins again at 1.0 – in terms of establishing the vision and strategy for this product. It is critical to acknowledge however that this assumes that the product already exists. You built it above. Work then moves on to category 2.0, where product development decisions are made. These product development decisions are about the offering of the product as a service, including the various service levels. You may even see some customization in 2.3.3 as you “Prepare for production/service delivery”. 3.0 sees the development of sales and marketing materials and plans, and finally 5.0 consists of things relevant to delivering the service. The big difference between the first value stream and this one is that we’re replacing the “deliver physical products” category with the “deliver services” category. This category contains process groups that establish governance, manage service delivery resources, and of course actually deliver services to customers; but it depends on something you have already developed and can support. It depends on the underlying products, and those products are developed in a different process flow, like the first one above. The “Deliver Services” process group depends on an existing pattern or offering, and in the absence of such a pattern or offering, will revert back to the basic “understand requirements and solve the problem” approach. The value here is the effort, knowledge, and skills that the service delivery brings with it. You’re selling hours here, not just a specific product. In this case, “5.2.3 enable service delivery resources (12127)” is all about making sure that the people who are doing the implementations of your software as service are successful. It includes training in the underlying product (developed in the first value stream) as well as the overall methodology (developed in the second value stream.) This training happens in 5.0, not anywhere else. The answer to the second question: “Would hierarchy ID 5.3 be the actual development and delivery of the service?” is partially YES. If you look at the processes within this process group, you’ll recognize the delivery of a contracted service to a customer. I would expect that the delivery of the product (the software developed in the first value stream) would happen in 5.3.2.6, where the make/build/buy decision is executed, and the software is implemented/customized/delivered as an ongoing concern to the client. Product development generally occurs in category 2, far from the confines of category 5. Here’s an exercise left to the reader: what is the mapping in the PCF for the technology part of the software as a service? How does that align? I’d love to see your answers in the comments. Very timely post. The APQC helped me through similar questions in the past, and this provides a concise reminder. Thanks Greg, glad it was helpful to you.